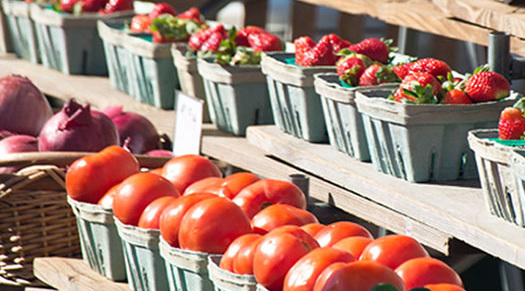 Start your Saturday at Grand Boulevard Farmers' Market! Fresh from the farm produce, milk, cream, butter, ice-cream, eggs, grass-fed beef, beef jerky, all natural-free range chicken, pork products and sausages. We even have Fresh local seafood, crabcakes, tuna and shrimp dips. There is homemade pita, hummus, veggie dips, hot sauces, salsa's, guacamole and homemade tortilla chips. Jams, preserves, pickled veggies, honey, BBQ sauces, marinades, mustards, flavored and smoked salts. Cheeses, homemade pastas and sauces, along with foods, artisan breads and desserts (some organic and gluten free) from around the world. Cold pressed organic juices in a multitude of delicious combinations and teas in many flavors. Treat yourself to some organic soaps and lotions, and we even have organic pet treats for your furry friends.....So much more! See you at the market. Rain or Shine!